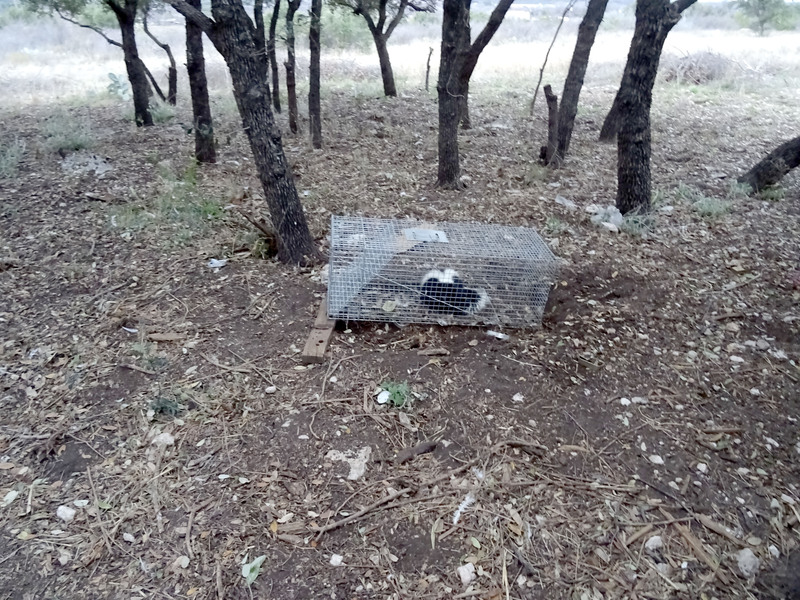 After finding skunk poop in the area, I set out my Havahart live trap. I bait the trap with sardines, and it is almost fool proof. I captured the skunk the first night.